E. Honda is one of the original playable characters from Street Fighter II since its inception. He was one of the two fighters alongside Ryu to represent the country of Japan. 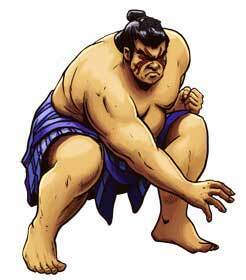 Sumo Wrestling is the fighting style Honda uses, and clearly he excels at it. Given how this is street fighting and outside the Sumo Ring though, Honda incorporates his own methods of fighting that are not normally allowed in Sumo Wrestling. Among them is his famous ‘Torpedo Headbutt’ attack, where he somehow lifts his immense bulk of the ground and spearheads himself towards his opponent. Yes for someone so round and heavyset, he is actually quite light on his feet and nimble enough to jump over opponents and projectiles alike. Another famous attack of Honda’s is his “Hundred Hand Slap” which works like Chun-Li’s “Hundred Rendering Kicks” only using Honda’s hands. The fact that Honda can incorporate such moves all while fighting some serious competition indicates there isn’t another Sumo Wrestler alive who can defeat him. Nevertheless, Honda trains future disciples in the art of Sumo because his main goal is to promote Sumo as a legitimate fighting technique outside Japan. 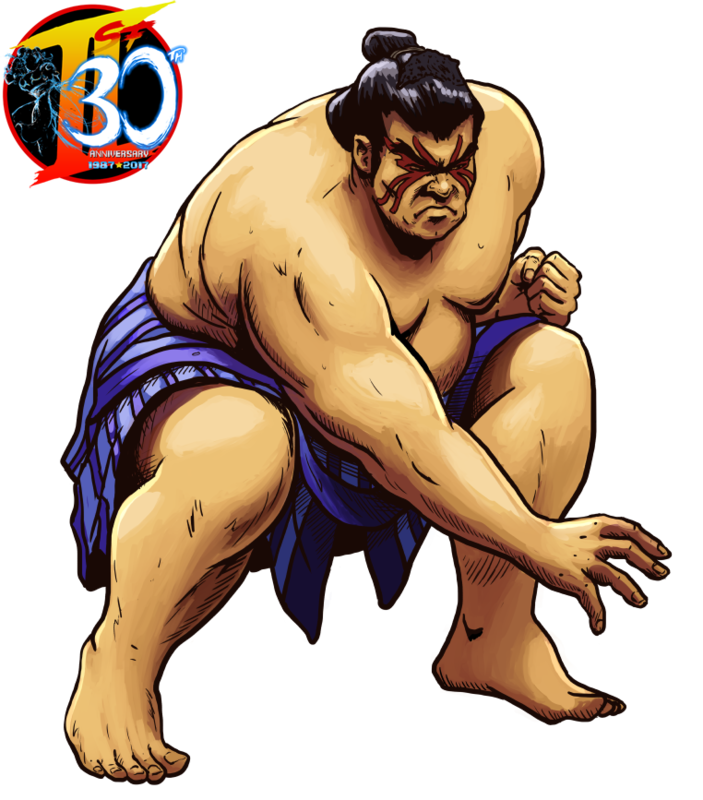 His participation in the 2nd World Warriors Tournament was his way of showing off Sumo’s great fighting style. 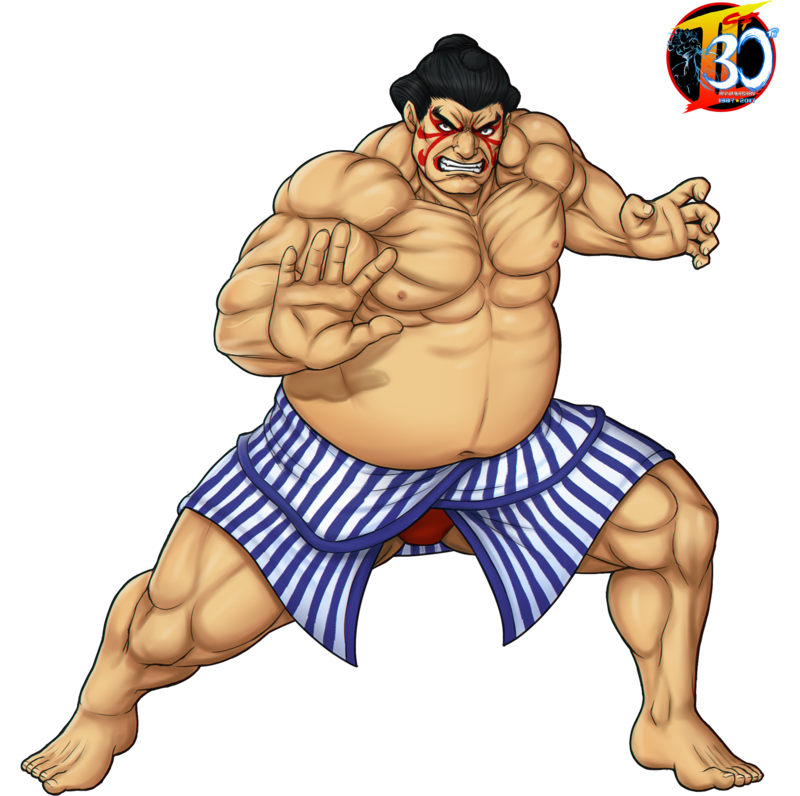 He surprised many warriors globally; including players who viewed Street Fighter II for the first time and couldn’t comprehend how a fat squat man like Honda could be an amazingly agile and powerful fighter. CrescentDebris is an American artist who participated three times in our Street Fighter II tribute. He drew one picture for E. Honda, one for Zangief and one for Guile. And all three of them turned out very good and life-like. 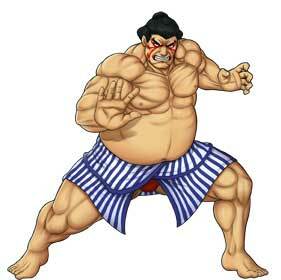 His take on Honda puts him as a more traditional looking sumo wrestler rather than the exaggerated features of Honda. But that just adds more realism to the Street Fighter series that is refreshing to see. He formed his own tribute to Street Fighter II and drew all other of the classic characters as well! Rubén Gutiérrez aka BartonDH from Chile joined the Game-Art-HQ community with a very surprising initiative to draw the almost forgotten Goemon’s Great Adventure for our Nintendo 64 tribute in 2016 and continued to participate in our art collaborations to draw the not so popular video game characters like Robo Ky from Guilty Gear and now E.Honda from Street Fighter II! I recommend to visit his gallery here!